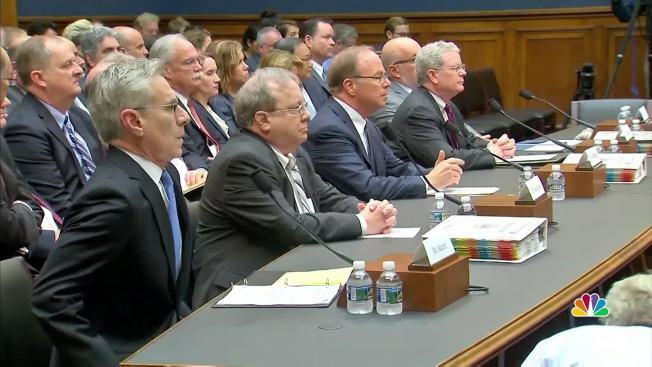 Top executives of the nation's leading wholesale drug distributors told Congress under oath Tuesday that their companies didn't help cause the nation's deadly opioid epidemic, drawing bipartisan wrath that included one lawmaker suggesting prison terms for some company officials. The confrontation came at a House subcommittee hearing at which legislators asked why huge numbers of potentially addictive prescription opioid pills had been shipped to West Virginia, among the states hardest hit by the drug crisis. Lawmakers are making an election-year push for legislation aimed at curbing a growing epidemic that saw nearly 64,000 people die last year from drug overdoses, two-thirds from opioids. Company officials' responses ranged from apologies to explanations to finger-pointing at doctors who prescribe the drugs, pharmacies that fill prescriptions and the federal Drug Enforcement Administration for not doing enough as overseer of sales of legally controlled substances. In a scene that recalled Congress' 1994 grilling of tobacco industry officials, House Energy and Commerce investigations subcommittee Chairman Gregg Harper, R-Miss., administered oaths to the heads of five pharmaceutical distributors and asked each if "the actions you or your company took contributed to the opioid epidemic." Answering no were the leaders of the nation's three biggest distribution firms: McKesson Corp., Cardinal Health Inc. and AmerisourceBergen Corp., which dominate the U.S. market. The only yes came from Joseph Mastandrea, chief of the smaller Miami-Luken Inc., while the former chief of H.D. Smith Wholesale Drug Company also said no. The denials drew an angry response from GOP Rep. David McKinley of West Virginia, where federal figures show 884 people died from drug overdoses in 2016. That gives the state the nation's highest overdose death rate — 52 out of 100,000 people. Other states with high death rates included Ohio, Pennsylvania and New Hampshire, plus Washington, D.C.
"The fury inside me right now is bubbling over," said McKinley. He said he found the denial of responsibility "particularly offensive" and he wondered aloud about the proper punishment. "Just a slap on the wrist, some financial penalty?" he asked. "Or should there be time spent for participation in this? I just want you to feel shame." Members of both parties accused company officials of missing signs of suspicious activity. The government requires distributors of controlled substances to report suspicious drug orders to the federal Drug Enforcement Administration and to deny questionable transactions. 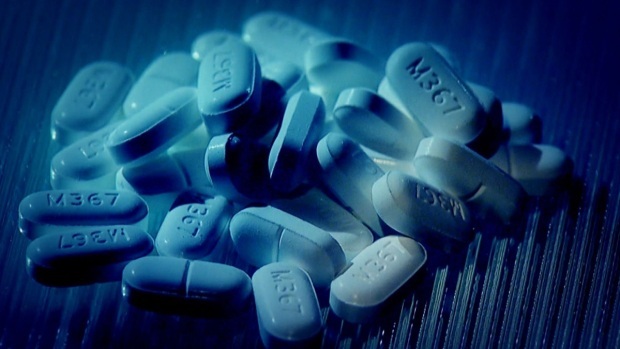 The committee's investigation has found that distributors sent more than 780 million pills of hydrocodone and oxycodone — prescription pain-killers that have caused many deaths — to West Virginia from 2007 to 2012. Around 1.8 million people live in the state. "Was it the profit motive" that prompted them to continue making dubious sales, asked Rep. Cathy Kastor, D-Fla. The corporate executives said they've improved their detection systems — a promise lawmakers said they'd heard before. The officials also acknowledged responsibility for fixing the problem but said that was divided with others, too. Nearly 12 million people misused opioids in 2016, according to federal figures. "It's a shared responsibility among many different players: physicians, pharmacists, state medical boards, state pharmacy boards, DEA" for solving the problem, said Mastandrea. In some cases, they apologized. "To the people of West Virginia, I want to express my personal regrets for judgments that we'd make differently today," said George Barrett, executive board chairman of Cardinal Health. House and Senate committees have been working on dozens of bills that include encouraging doctors to use non-addictive pain killers, spurring research on such products, broadening access to treatment and giving financial incentives for drug treatment specialists to work in underserved areas. In 1994, tobacco company executives testified before the Energy and Commerce panel, then controlled by Democrats. The officials said they didn't believe cigarettes were addictive, despite evidence to the contrary. Within four years, the industry reached a settlement to pay states more than $200 billion over 25 years for tobacco-related health care costs.